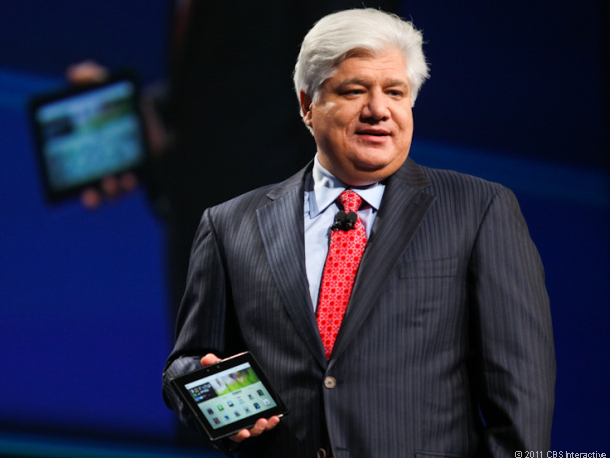 Combining the best qualities of RIM’s older BlackerBerry operating system and its QNX platform which powers the PlayBook tablet, Research in Motion co-CEO Mike Lazaridis unveiled a new name for its next-generation operating system – BBX – as he makes the case for developers to stick with BlackBerry. During demonstrations, Lazaridis promised that BBX provides an easier process for developers, more profits, and the ability to take advantage of platform’s upgraded gaming engine, user interface and HTML 5 compatibility. All designed to take interest away from Apple’s iOS and Google’s Android platforms. We believe it’s an uphill battle for RIM and BBX to compete with the mementum behind iOS, Andrios and now WP7.